Featuring V Capaldi and Trevor Wicken of The MS Gym! Now once again please don't freak out by the title simply because my brand is named PaleoBOSS. Hear me out. As one of the most healed with secondary progressive Multiple Sclerosis (MS), former board member of the Delaware National MS Society and someone who tours the USA living with others I would think my insights are valuable. Food was my last piece to the miracle life puzzle. It is 100% important,but not the most important. So often I meet people and they are trying so hard to use food to change their life outcome and are seriously struggling and big time. When I 1st started touring I was shocked at how many people were failing at trying to heal. Until I realized most were just starting and doing so with food. I personally disagree with this as the 1st step and know why most if not all seem to feel they are failing. I spent hours working on figuring the why and as usual my reference is my own personal experience leading me to realize the order to a miracle life starts with moving your body, loving yourself followed by consciousness regarding diet & lifestyle. There was a common thread in all of this and after a year of living with others I noticed this pattern. Most are coming to a holistic healing lifestyle by way of food and it stops there. I personally don't think that is the right approach and it certainly was not mine. I also don't believe food should be the 1st step. I believe it is the last step and not because it was my path. I can count on one hand the number of people I have met who are able to stick to a food as medicine lifestyle. Most seem like the stereotypical New Year's resolution and launch with great momentum then die off. Time and time again I see this as a common thread. Believe it or not I have the answer to this problem and I know it is the golden ticket like Willy Wonka. When Movement and getting your mind right are the start of your journey into miracle status you not only start a conscious relationship with yourself it has shown to motivate you to make other healthy lifestyle choices. Getting to know your body through movement is key and will be a huge part of your road to BAM. #1 Exercise releases “feel good” chemicals called endorphins. These hormones work to inhibit the pain receptors in your joints, muscles, and brain. Endorphins also act as natural anti-depressants and anti-anxiety chemicals to bring your body back to a state of calm and composure to ward off things like panic attacks, depression, and dementia. Exercise not only helps your body counteract your stress and fatigue but also helps you manage and reduce the intensity of your MS symptoms. When your body functions better, it can find a balanced state of functioning quicker and maintain that balanced state better. This is super helpful for MSers since your body is constantly riding the MS roller coaster and having to re-adjust on the fly as your symptoms can change week to week or even day to day. Exercises teaches your brain to find alternative pathways around your damaged MS nervous system and improve your strength, balance, coordination, and endurance. 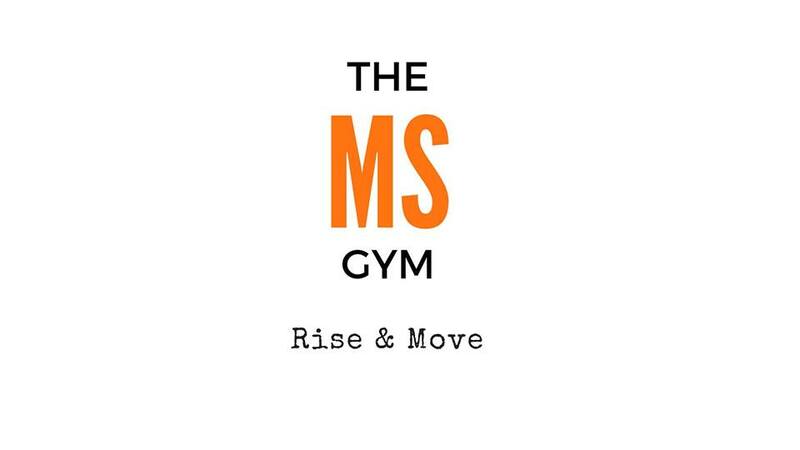 As these physiologic components improve, your body gets stronger which trains it to fight off MS better. Movement Is Medicine. Take your daily dose! As you exercise your heart rate, respiration, and blood flow increase. When this happens, it signals your blood vessels to dilate and allow more blood to flow in and out of your tissues, more oxygen to get into your lungs and bloodstream, and more toxins to be filtered out of your body. This means that your cells are absorbing more nutrition to feed your muscles and nerves, delivering more oxygen to your cells which decreases fatigue, and flushing out bad chemicals and waste out of your body that cloud your thoughts, stiffen your muscles, slow down your nerves, and destroy your body. Movement is one of (if not THE) MAJOR driving force behind all physiologic function in your body. If you move you live. If you don’t you die. Period. Thanks Trevor for these words of BAM regarding movement! Once you are loving the movement portion on the road to a miracle life you often start feeling better about yourself which creates the space for a kinder & gentler you to emerge. This often brings a loving lens which allows the conscious awareness self love work to easily be brought into the journey. It is in this space you bring about a lens that will support a healthy food journey. A road that exists without deprivation, fear, anger and a fight it out of mentality. i say it often and I mean it with 100% certainty that I am not mad I have MS. In fact the things I love about myself are a direct result of living with MS. This my friends is how we heal. Food seals the deal after you got steps 1 & 2 down. Not subscribed to this award winning blog yet? Today is a great day and a perfect way to end the year. Join PaleoBOSS Lady and friends as we raise the roof on life tapping our BAM.